Bulgaria is a truly ancient country that is modernising selectively. One of its many great charms is the way traditional habits contrast so much with the rest of modern Western Europe, but wonderful compromises are made. People say Bulgaria's countryside is like that of Western Europe a hundred years ago. The national calendar is filled with colourful local festivals and this is a vibrant, forward thinking country with a vibrant, forward thinking capital in Sofia. 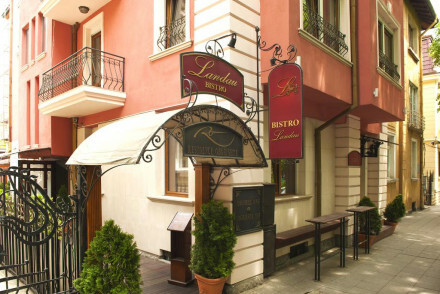 Amongst the capital’s historic monuments you’ll find some of the best places to stay in Bulgaria. Many visitors enter Bulgaria via Sofia on the way to the ski resorts or the Black Sea coast. However Sofia is still one of the best places to stay in Bulgaria as it is full of great museums, galleries, restaurants, shopping opportunities and the potential for a great evening out. Bulgaria isn't the most obvious choice for a seaside break, but maybe it should be - the Black Sea resorts offer both sedate seaside style and heady fun. The beaches are long, sandy stretches which are well maintained and the resort facilities are equal to many in the Med... If you're looking for unique seaside charm you'll find it here as well as ancient fishing settlements and two cities - Varna and Burgas. Sozopol is one of the the best places to stay in Bulgaria if you're here for the beautiful Black Sea beaches. It is charming and chic and to the south are miles of sandy beach all the way to the Turkish border. To the north are the 24 hour party beaches and Sunny Beach. Bansko is the place to be if you're here to ski as there is plenty of snow and spectacular views of the Pirin Mountains. As well as the ski resort, Bansko also has a challenging golf course. Bulgaria's rural countryside is green, pleasant, peaceful and crossed by seven different mountain ranges. The landscape of alpine woods, unsullied by much construction, are heaven for walkers and mountaineers. In amongst the dense forests and grand lakes there are plenty of well kept routes and huts. The country is a little bit smaller than England, but with only around seven million inhabitants, so there's acres of open, unfenced countryside and more ancient meadows than fields. Farming traditions here date back to the Bulgars, who arrived from central Asia more than a thousand years ago. You'll see food and wines on the table which have fallen out of favour elsewhere but taste delicious. Some of the best places to stay if you're here to uncover the riches of Bulgaria's history are Plovdiv, Kazanlak and Koprivshtitsa. Plodiv is a lovely city to look at and also has a fascinating history, having been occupied by the Thracians, the Romans and the Ottomans. It is the legacy of these occupations that is responsible for the unique architecture. The Old Town has the typically Bulgarian Renaissance style houses with restaurants and cafes and underneath is a well preserved stadium built about 1,800 years ago. Kazanlak was one of the centres of the Thracian civilisation and there is a great tomb within the town. This grand monument has impressive frescos on the walls, but it is the art and statues in the nearby Valley of the Thracian Kings that are in better condition. Koprivshtitsa has rows of photogenic half-timbered buildings either side of the meandering River Topolnitsa. Bulgarians nod their head for 'no' and shake for 'yes'. In a country where this can survive, despite globalisation, it's easy to see why when the Communist government persuaded people to move into the new concrete tower block cities the people did just so, then returned to their homes in the countryside at the weekends. So Bulgaria has many more homes than families. Life, even in the larger cities, may seem slow and generally people are really friendly. Capital Sofia and Burgas, the largest port, are probably the best places to stay in Bulgaria to experience this country's more modern, vibrant side. Sofia’s Aleksander Nevski church is a vast, awe-inspiring piece of neo-Byzantine architecture decorated with golden domes and ornate mosaics. It commemorates the 200,000 Russian soldiers who died in Bulgaria's War of Independence against the Turks and houses most of Bulgaria's religious treasures - it is spectacular. As far as Sofia’s spectacular buildings are concerned it’s also worth dropping in on the Royal Palace, the Archaeological Museum, the Sveta Nedelya Cathedral, the Turkish Baths and taking a trip to the Vitosha Nature Park. Sofia’s Soviet era remnants are unmissable too. The neo-classical Stalinist civic buildings, Red Army monuments and concrete tower blocks add to the exciting east-meets-west feeling. See the long, sandy beaches of the Black Sea for yourself - you’ll be tempted to lay out your towel and spend all summer here. Ski Bansko against the backdrop of the Pirin Mountains. And hike through Bulgaria’s green and pleasant countryside. Uncover some of the country’s history in lovely Plovdiv, which has belonged to the Romans, Ottomans and Thracians. With such a diverse landscape and many beautiful towns, choosing one of the best places to stay in Bulgaria may prove to be tricky. Do some research though and you will find somewhere perfect. 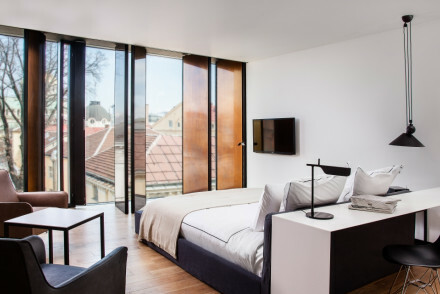 The Sense Hotel is in Sofia, perfect if you want to be right in the historic centre. A minimalist, luxurious haven when all around are ancient treasures. The views from the roof terrace are unbeatable, there's a spa to relax after all that walking and the food is excellent. Bulgaria has four international airports, Sofia Airport, which is the largest and best connected airport in the country, Varna Airport and Burgas Airport - which are popular with seasonal and charter airlines, and Plovdiv Airport. If you’re coming for ski then winter is the best time to visit Bulgaria, otherwise the warmer months will give you longer, more pleasant days in which to explore. Plus many of the country’s most colourful festivals and events take place between April and September.